Counteract Balancing Beads, manufacturer of the industry’s premium internal tire balancing product, along with the award winning Counteract Stud Cleaning tool is proud to be introduce a new product to its already exciting line up of wheel products. 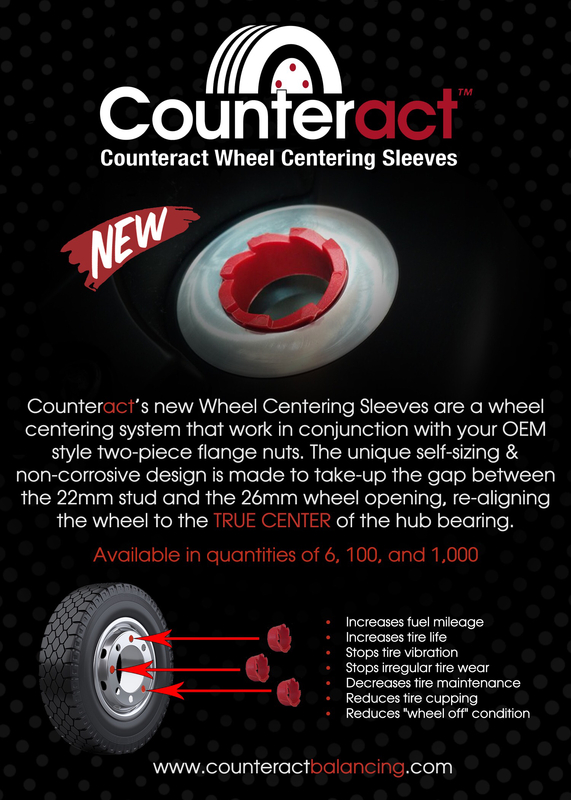 Counteract’s New Wheel Centering Sleeves are a patent pending wheel centering system that work in conjunction with your OEM style two-piece flange nuts. The unique self-sizing & non-corrosive design is made to take-up the gap between the 22mm stud and the 26mm wheel opening, re-aligning the wheel to the TRUE CENTER of the hub bearing. 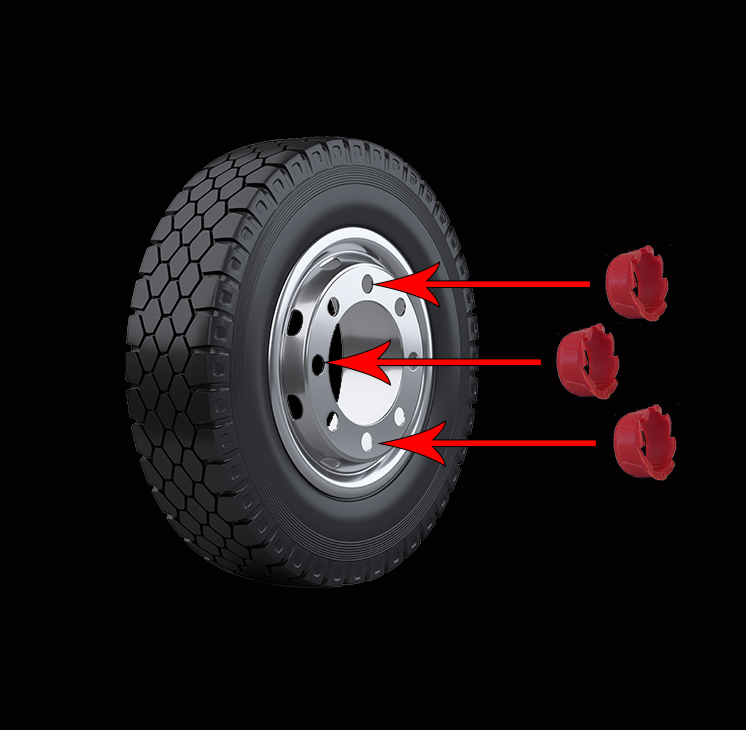 At a fraction of the cost of competitive brands, Counteract’s Wheel Centering Sleeves promote proper lug nut clamping force, counteracting runout that can lead to dangerous wheel “clocking” and potential wheel-off conditions. 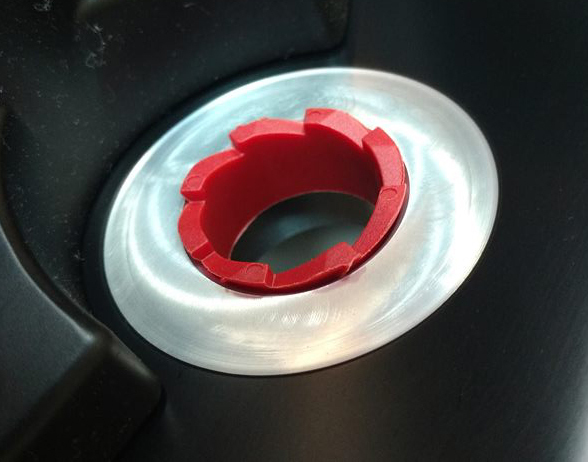 Just one size Counteract Wheel Centering Sleeve services all hub-piloted wheels with 22mm studs, including: Steer Wheels, Drive Wheels, Steel Wheels & Aluminum Wheels. 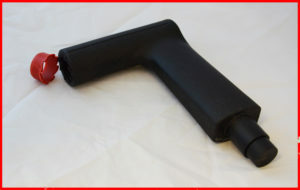 Counteract Wheel Centering Sleeves are available nationwide at respected dealers.